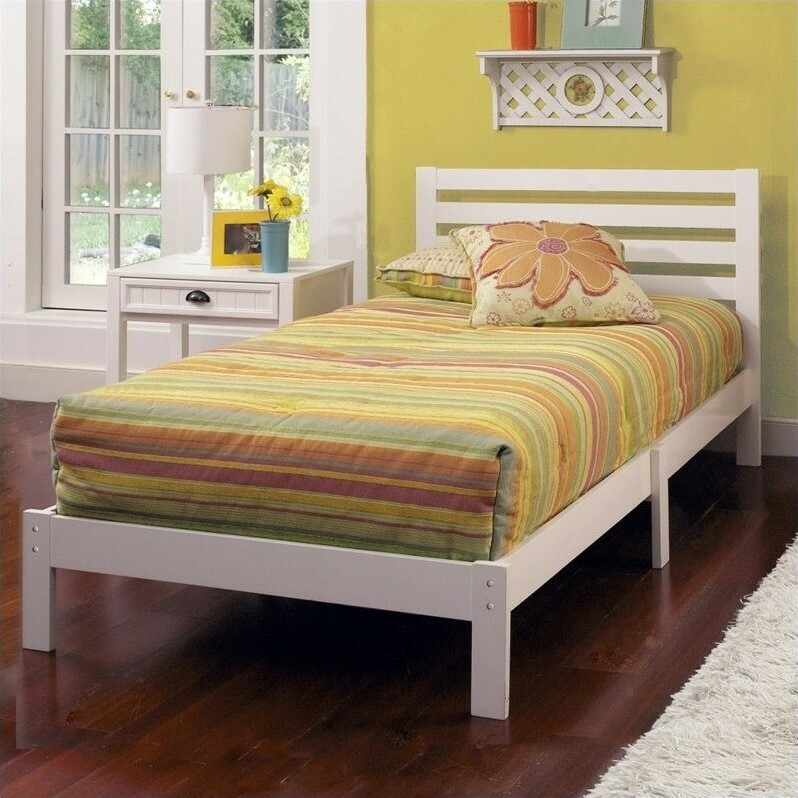 Hillsdale Furniture’s transitional Aiden platform bed is perfect for a kids, teen or students room. A simple ladder back headboard and clean platform make this an easy fit into most decors. No frame necessary, this bed comes complete with everything you will need. Constructed from hardwood and wood composites. Assembly required.